Choose a right In-Dash Car DVD GPS for your Mercedes-Benz CLK W209 would not be a difficult thing. Follow the guide and you will find the way. 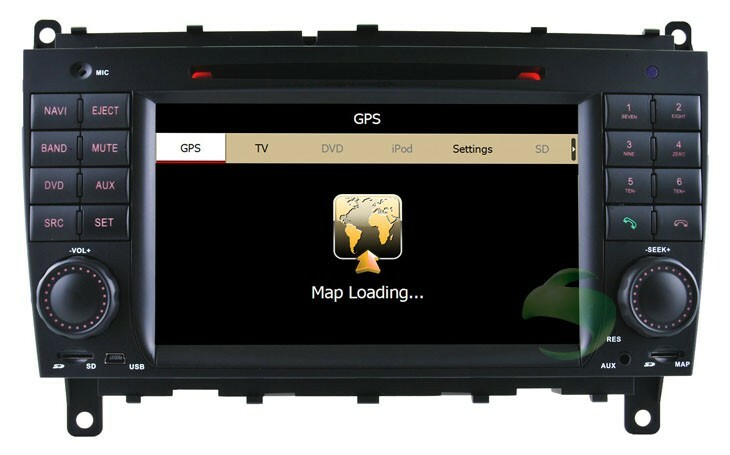 Two different kinds of In-Dash Car DVD GPS are selling on our website. The universal In-Dash Car DVD GPS would be the first one, which can be installed in just about any vehicle make and model. The vehicle-specific In-Dash player which is specially-designed for a particular model would be the second one. For choosing a universal In-Dash player, please check the player position height of your car first. If the height is 50mm, please select from 1 Din car DVD GPS series, and if it’s 100mm, please select from 2 Din car DVD GPS series. For choosing a vehicle-specific In-Dash player, our vehicle-specific players will indicate in the product title the model of car for which it is designed. The produced year of your car should be checked at first. But according to our experience, sometimes the same car come with different factory CD player, even that they have the same name, year and model but from different countries. So we put a photo of dashboard correspond with each product in the product description page. If your dashboard photo is the same as we list, this item is fit to your car. If it’s different, please find the correct model for your car in “related pruducts”. If you are still uncertain about this, please send us dashboard photo of your car, and then we can check whether it can fit to your car.